- To participate you must sign up. You can find the link for the current sign up post in the userinfo and sidebar. - Once the first challenge entry post is closed you may no longer sign up. 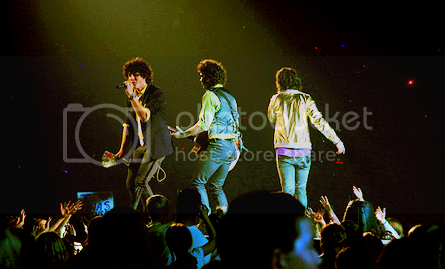 - Follow the form when signing up and include the phrase 'The Jobros are love' (just to make sure you´ve read the rules. - It´s important that you join/friend the community to keep up with the game. - Submit icon must fit LJ standarts - no more than 100x100, or 40kb, and must be .jpeg .gif or .png. - Only one entry per participant. - When submiting your entry please post the icon AND the icon link. - Entries must but original, that means you have to make the icon specially for the challenge and cannot copy tutorials completely. - Keep the icons anonymus till the results of the week. - If you do not post an icon by the deadline a skip will be used for you, if you don´t have any skips left you´ll be disqualified. - When you sign up you receive a skip. - To get skips you have to pimp the community. - The max number of skips you can get is 3. - Use the form to vote. - Vote must be based on the quality of the icon not your personal taste. - Votes are weighted so make sure to vote in order. - Icon #21 will get -5 points, icon #03 will get -3 points and icon #17 will get less -1 point. Icon #08 was voted for favourite icon so it will receive + 5 points. - If an icon receives both favourite and negative votes they will cancel out.